A lot of people want to know how to grow succulents from seed. We'll let you in on a little secret: we don't sell our succulent seeds. In fact, we don't even use seeds to grow them in the first place! This article explains why growing succulents from seed is less than ideal and shares our methods for propagating new succulents without a single seed. 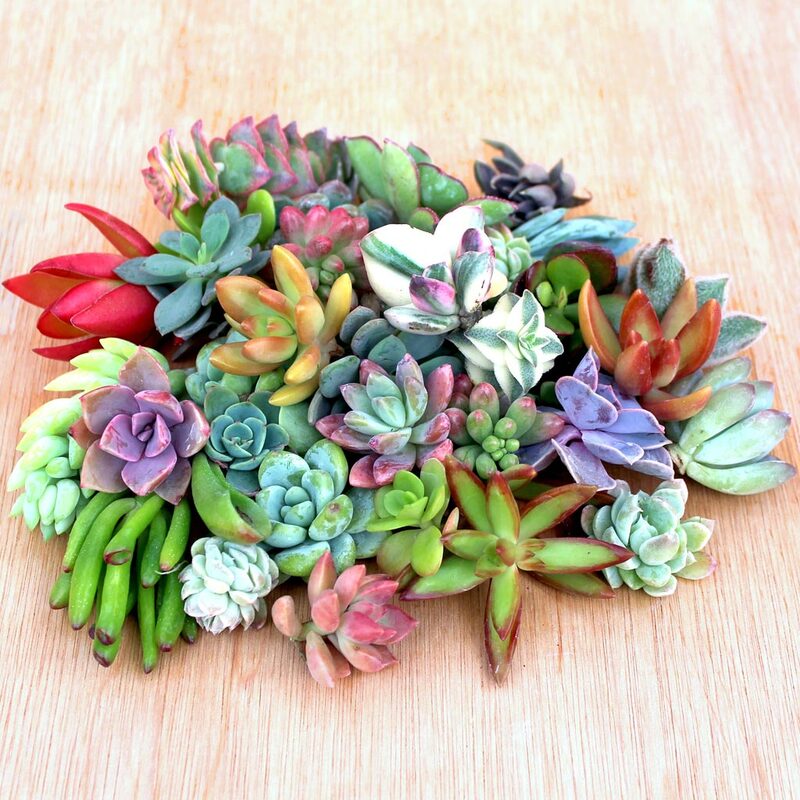 Spoiler alert: it's so easy, you'll be multiplying your own succulent collection in no time. Growing succulents from seed can be unreliable, as many popular varieties are cultivated varieties or genetic sports. Cultivars and sports are bred and/or perpetuated by humans, and they do not grow "true" from seed in nature. This means that a seedling might be similar in appearance and vigor to its parent plant, or it could be completely different. The same is true for naturally occurring species. If the parent plant was cross-pollinated with a different species, the resulting seeds will grow into offspring plants that are not identical to their parents. For this reason it's important to source quality seed from a species that was not cross-pollinated. The casual grower may have to test many batches of seed before germinating a healthy, good-looking plant, but if you're willing to dedicate a lot of time to hybridization, you just might come up with the next greatest cultivar! In addition to unpredictable outcomes, growing succulents from seed takes a long time. 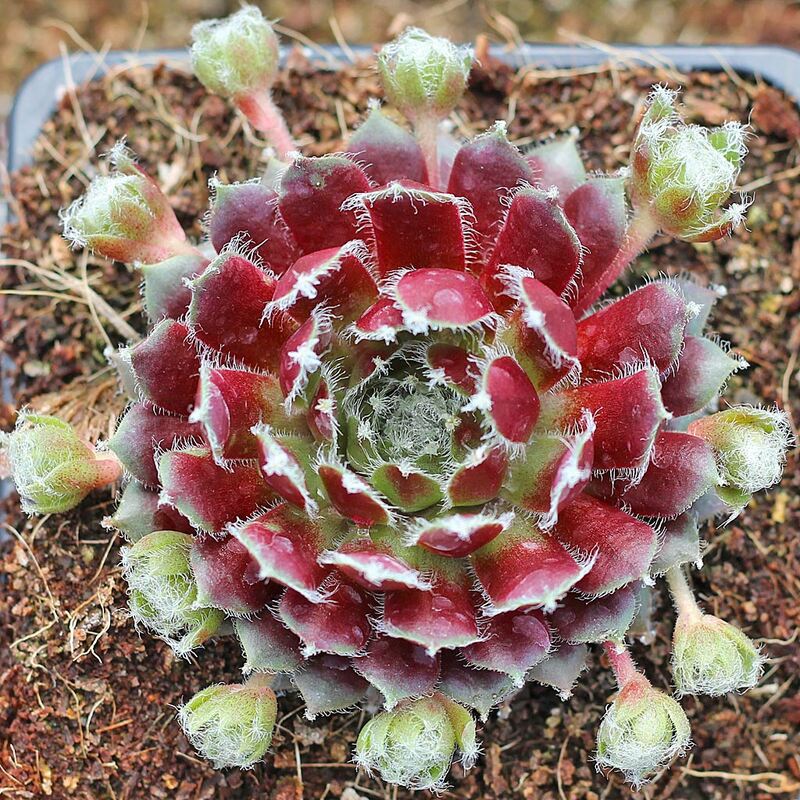 Some succulents, like Sempervivum, can take years to bloom and produce seeds. Even after the seeds are collected and sown, it can take different varieties anywhere from three weeks to a year to germinate, let alone grow into a full-sized succulent. 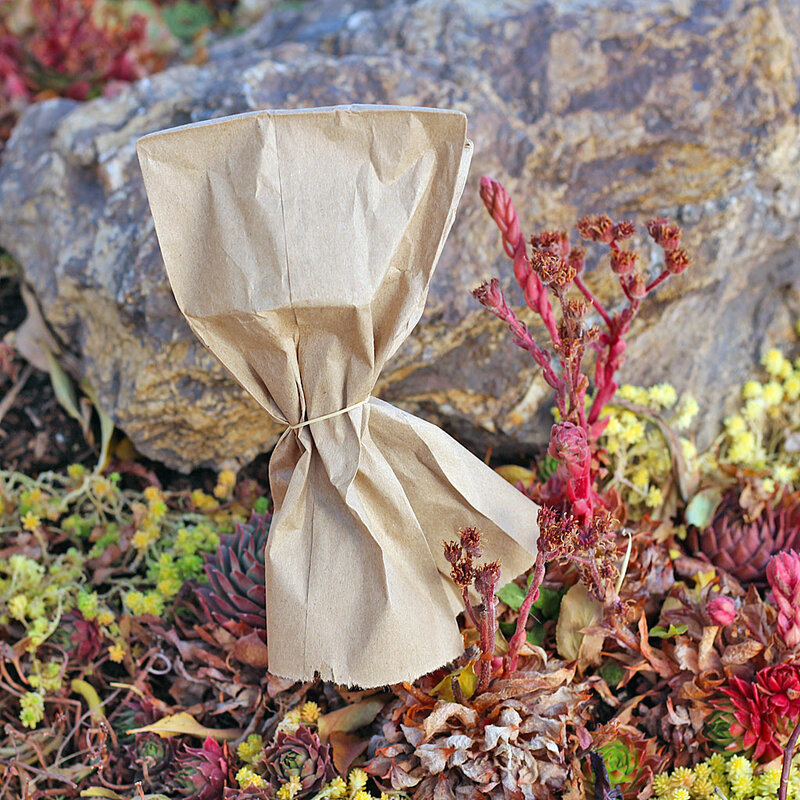 Succulents are well-adapted to grow in harsh environments, but this also means that their seeds can stay dormant for long periods until conditions are favorable for new growth. Succulents are known for being resilient, easy growers. 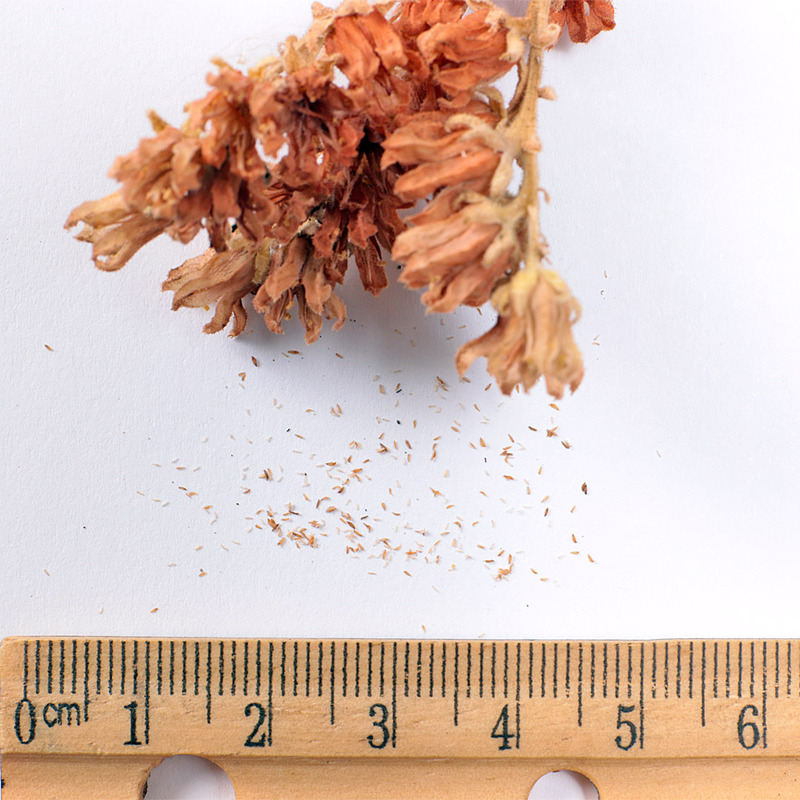 Succulent seeds, however, are finicky and sensitive to small fluctuations in environmental conditions. They can be tiny and dust-like and require very diligent care. Most varieties like the indirect sunlight found outdoors, but also need moderate temperature and humidity, which is easier to control indoors. You may love succulent plants because they can tolerate weeks of neglect, but even a day without gentle watering is enough for a small seedling to call it quits. If succulents are so difficult to grow from seed, how is it that we have any succulents left? 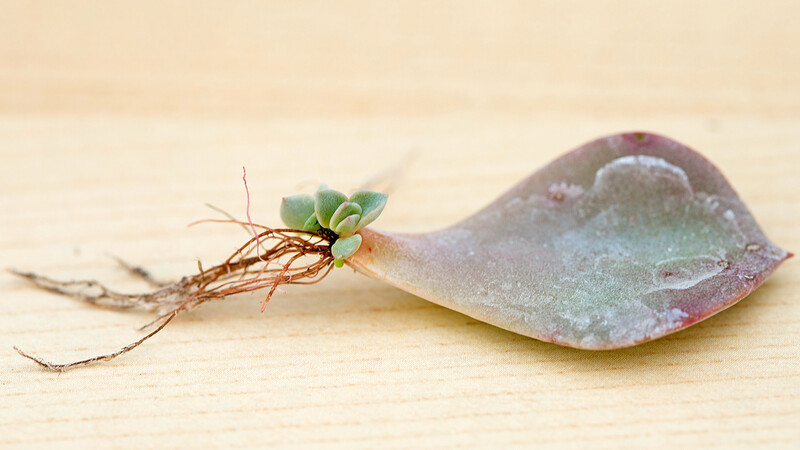 In the wild, most successful succulent propagation happens not through seeds but from vegetative offsets. Many types can send out new offspring from a mother plant (think Hens & Chicks) or re-grow from a fallen leaf or a broken section of stem. Our nursery mimics nature and uses both of these techniques to skip seed germination and grow new succulents quickly. The other huge advantage of vegetative propagation is that offsets are genetically identical to their parent plant. This is how we can confidently predict how our plants will look and what growing conditions they will prefer. Want to try it yourself? 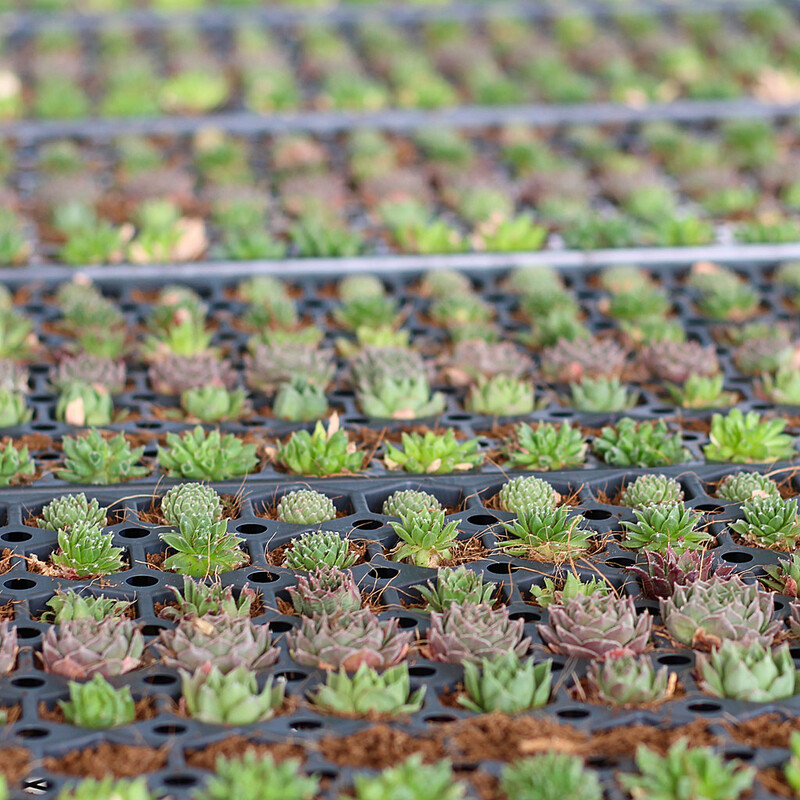 Growing your own succulents is extremely rewarding and we offer both stem cuttings and unrooted rosettes so that you can take part in the growing process. We've also compiled our nursery knowledge into this Visual Cuttings Guide so that you too can turn a leaf or a bit of stem into a full-grown, rooted plant. Watch out though! Growing succulents this way is addictively fun and easy. The other great option for growing high quality succulents on the cheap, is to buy them wholesale. You do not need a special retail account to get wholesale discounts at Mountain Crest Gardens. Our trays and sets are the best way to fill out your collection with high-quality, rooted plants.